The U.S. Commercial Service UK (CS UK) at the U.S. Embassy in London promotes exports of U.S. goods and/or services into the UK market and inward investment into the U.S.
CS UK will help you locate U.S. products, services, and business partners; meet suppliers and partners face-to-face; and participate in trade shows that feature thousands of U.S. companies. If you are a U.S. company, please visit our Export.gov website. World Travel Market (WTM) and Travel Forward 2019. Taking place from November 4-6, 2019 at the ExCel Conference Center in London, WTM and Travel Forward will gather over 60,000 visitors with travel suppliers, tour operators, media, technology providers, and technology buyers from around the globe. 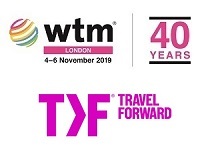 WTM will also be celebrating 40 years in 2019! 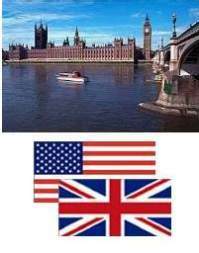 CS UK is working to promote the U.S. contingent to the travel trade and to travel technology buyers. We expect over 300 U.S. exhibitors this year, each looking to develop and grow their global business relationships. Click here for details about WTM and Travel Forward 2019.